In 3229 A.D., human civilization is scattered among the planets, moons, and asteroids of the solar system. Billions of lives depend on the technology derived from the breakthroughs of the greatest physicist of the age, Arthur Holywelkin. But in the last years of his life, Holywelkin devoted himself to building a strange, beautiful, and complex musical instrument that he called The Orchestra. Johannes Wright has earned the honor of becoming the Ninth Master of Holywelkin's Orchestra. 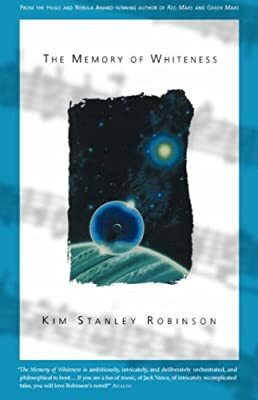 Follow him on his Grand Tour of the Solar System, as he journeys down the gravity well toward the sun, impelled by a destiny he can scarcely understand, and is pursued by mysterious foes who will tell him anything except the reason for their enmity, in The Memory of Whiteness by Kim Stanley Robinson.